The Fire fairy: Ruby is the fire fairy. Her power is from lava and the sun. She controls all the light and warmth of the mystical lands of Starfalls. She is very strong and belives in her self. She loves to just sit by the fire and relax. Her goal is to bring light into the darkness..not just places but also the people. She belives everyone should be happy. Aquamarine is the water fairy. She is shy and friendly.She expresses herself by songs and poems. 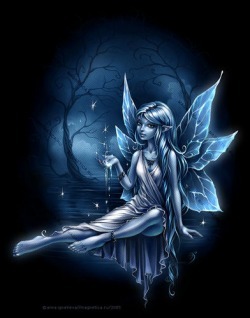 No fairy is all the way alike. She controls water and her best friends are Ruby & Emerald. Emerald is the earth fairy. She is active and happy. She takes care of earth and nature and always belives in her self. She is a earth fairy who knows everything about nature. She loves to sing to the animals and plants to calm or entertain them! She is very kind! 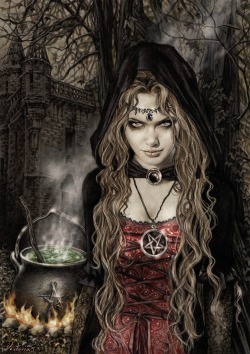 She was left by her parents and has been raised by evil witches. Her heart is cold as ice and does anything to ruin the lands of Starfalls.If anyone stares deeply into her cold eyes they will become ice.Only if her parents return can only stop her cruelness.She was not loved and doesn't know the meaning of friendship.Poor girl doesn't deserve to be evil. Kimse kats are very loyal to their owners. AquaGem is very kind to Aquamarine.She is named after Aquamarine.AquaGem is playful and loves to sing and swim threw the pacific waters. She loves the waves and is shy.She loves to observe nature. She has all the traits of Aquamarine which makes them meant to be! Her name says it all! She is unique and like no other! She loves to be different and cares about others and her opinions! She is very kind and friendly.She belongs to Emerald. Unique likes to gracefully run through out fields. She is usually lying in the grass and like AquaGem she observes nature! Lava belongs to ruby and is very kind. She can get angry a couple of times but is very confident in things.She has namy best friends and loves to hunt for things.